RGM Selected at “Royal Read” at U. of Scranton! On September 19, 2014, I will be joined at the University of Scranton’s Community Breakfast by Desmond Plunkett, Dr. Thomas Check, and Irene DeGroot Thompson, three people profiled in Raising Gentle Men, to discuss how to bring the essence of who you are into your professional life. See the attached flier for more information. The Catholic Press Association awarded First Prize for 2014 Best Book by a Small Publisher to Raising Gentle Men! We’re very pleased they found the plight of the boys of Alpha so compelling and the dedication of the Sisters of Mercy so inspiring. 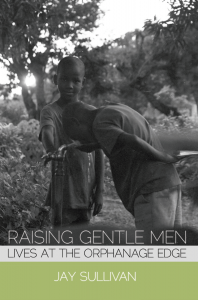 Raising Gentle Men has been selected as the 2014 Royal Read at the University of Scranton! All incoming freshmen in September will be reading the book. Faculty who lead classes for the freshmen will be encouraged to incorporate the lessons in the book into their curriculum. September 18, 2014 – Holy Cross High School – Scranton, PA – 8:00 a.m.
September 18, 2014 – Scranton University – Scranton, PA – 6:00 p.m.
September 19, 2014 – Scranton, PA – Community Brunch – 8:30 a.m.
A memoir by Jay Sullivan. There are very few benefits to being the only man in the convent. 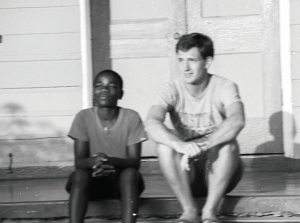 There are fewer still being the only big brother to 250 boys in an orphanage. But if you keep busy, you stumble into opportunities to help. And if you’re clueless, you don’t know better than to try the improbable. And if you’re clumsy, you trip over life’s lessons at every turn. For more than 100 years, a small band of nuns has run Alpha Boys School in Kingston, caring for the abandoned, abused and delinquent boys of Jamaica. From 1984 – 1986, they allowed the author to share their world. He was one of many people during those years who lived on the periphery of the boys’ lives, trying to make a difference. He saw the relationships the boys built with each other that kept them from being completely alone in the world. Whether from the inside or the out, they all lived at the orphanage edge. The events in the book are true. The letters from Sister Magdalen are actual passages from her letters. All of the author’s proceeds from this book go to support the work of the Mercy Sisters and the Jesuits in Jamaica.